Our instructors are great teachers and are good with children. 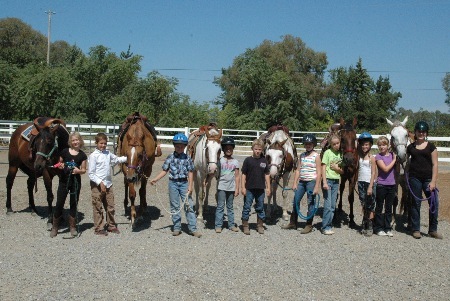 NorCal Trail Rides and NorCal Riding Stables have been offering lessons to the public for 7 years now. We have safe and gentle horses. All of our instructors are great teachers and are good with children. We offer lessons to children as young as 2 yrs old and we have adults in their 80’s. Its never too late to start lessons. Our focus is to learn and to have fun while you are learning. Here’s a sample of some the horsemanship skills to be learned at a lesson. *Please note our cancellation policy: Lessons must be canceled or rescheduled 24 hrs prior to scheduled a lesson* if canceled within 24 hours full payment is due.